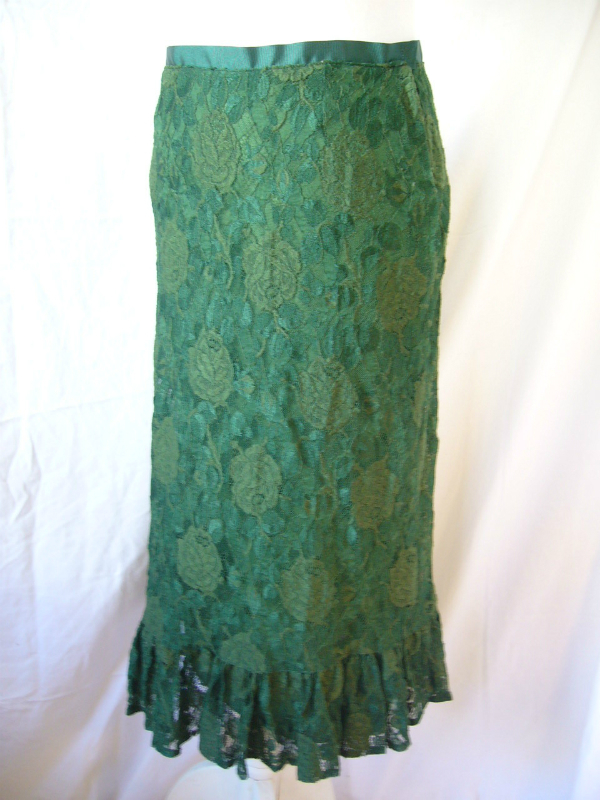 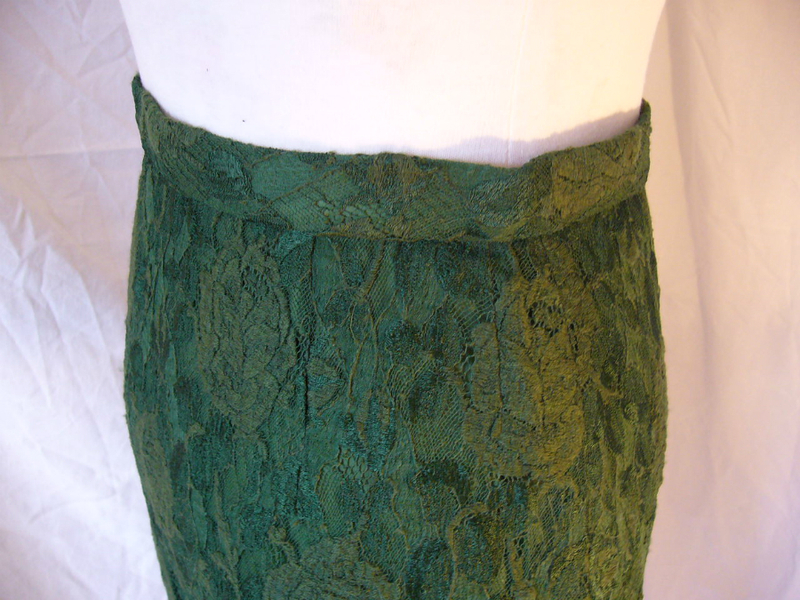 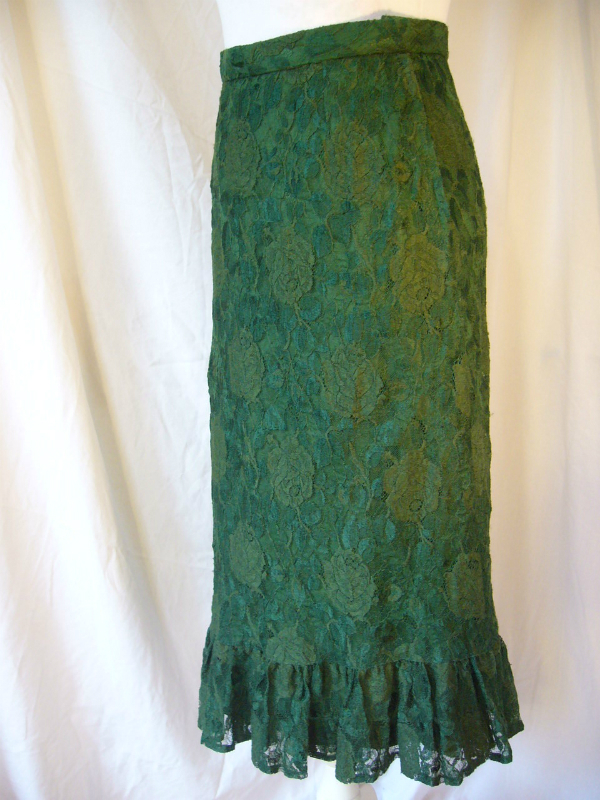 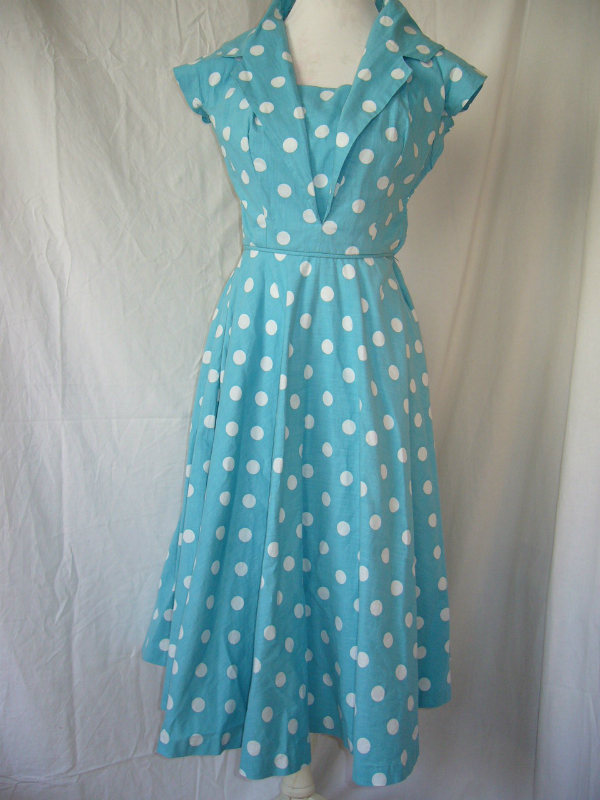 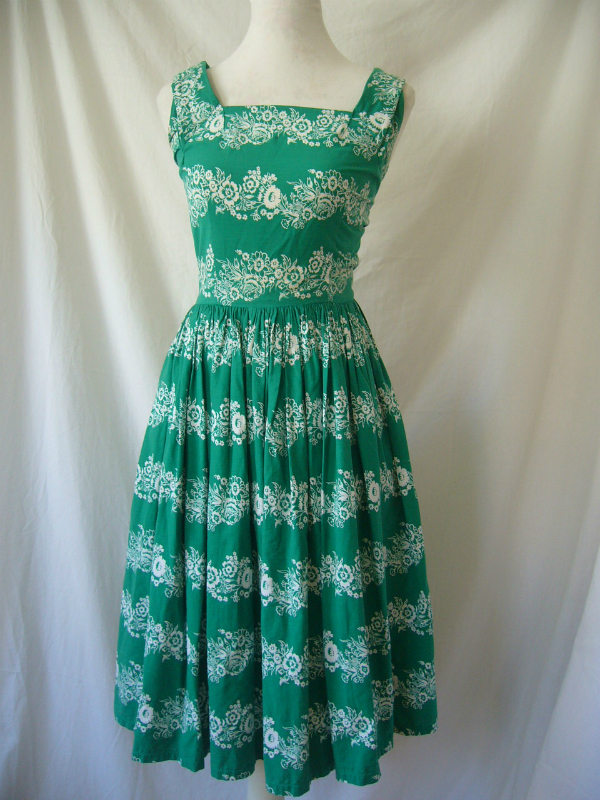 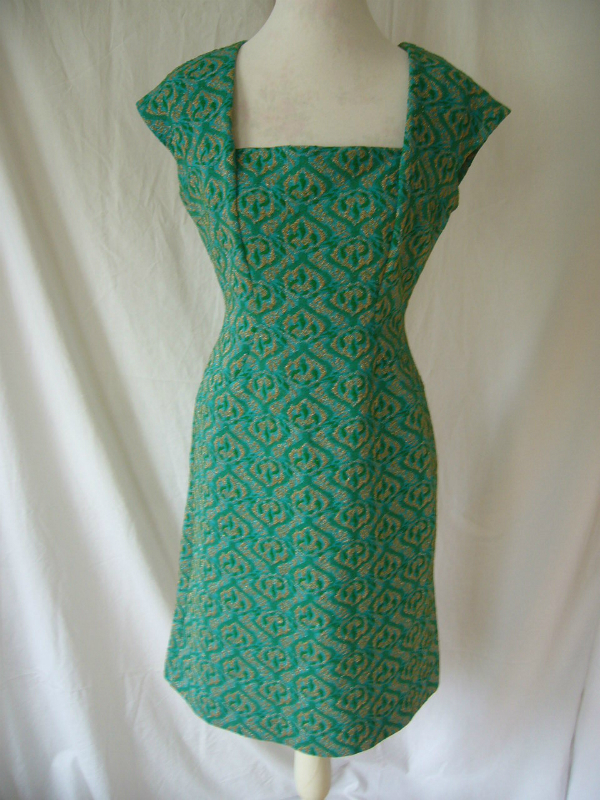 Deborah’s beautiful 1950s lace skirt had a 26″ waistband, and she wanted us to extend it. 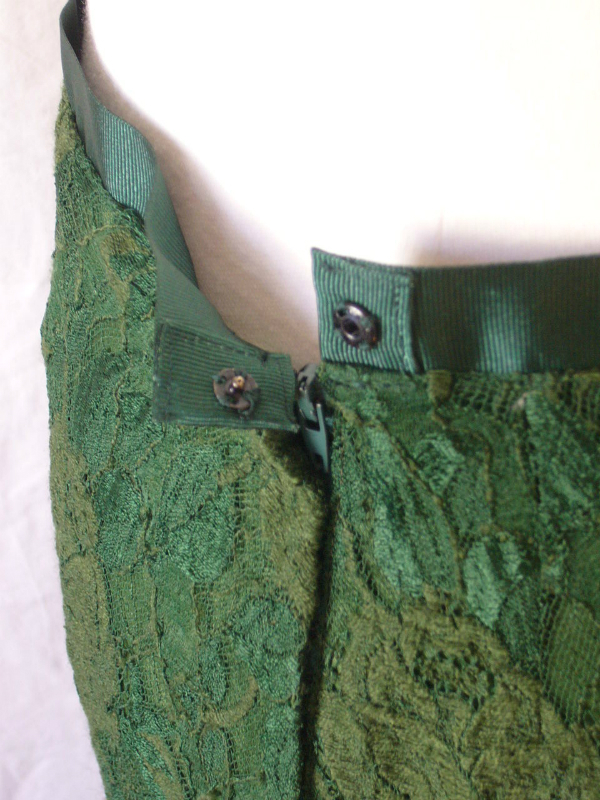 As the original lace waistband could not be extended, we suggested replacing with a new waistband, and settled on a matching green wide grosgrain ribbon. 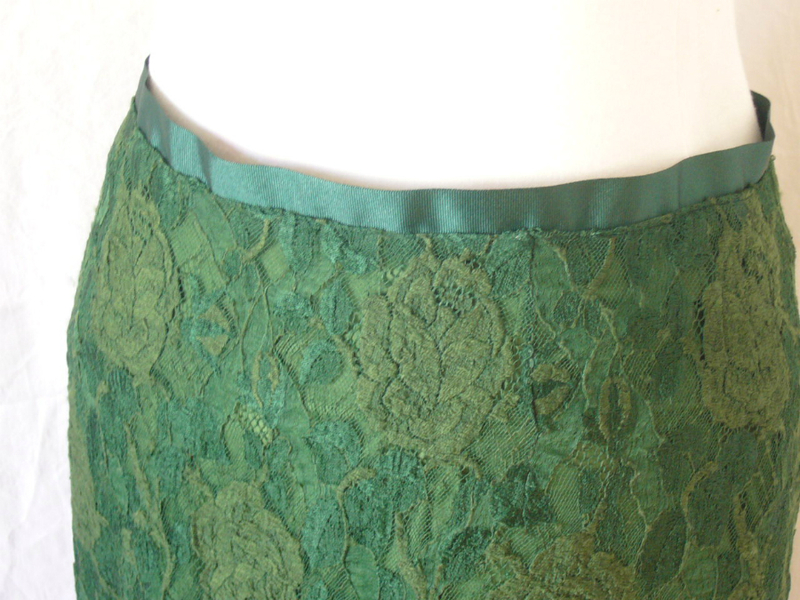 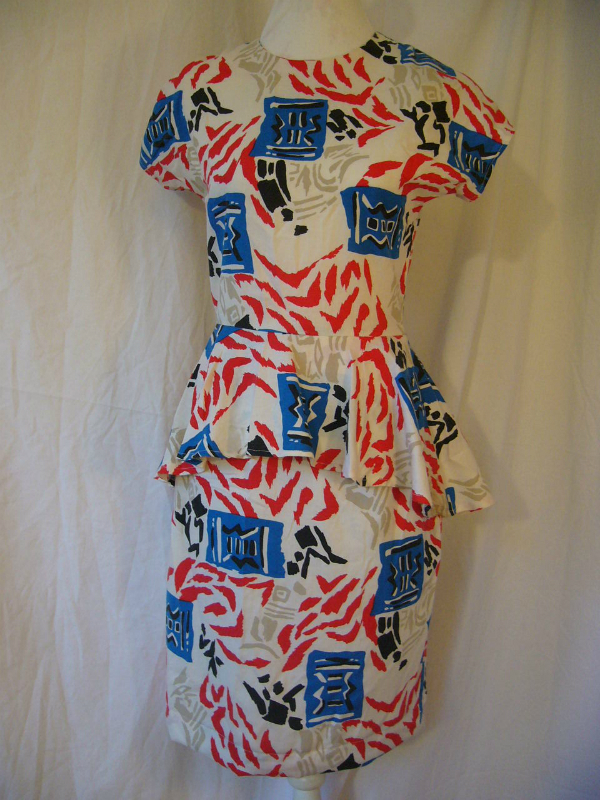 Undoing a few of the existing darts, we extended the skirt to her measurements.